Marking the countdown to the feared ‘Carmageddon’, or the weekend closure of a nearly 10-mile stretch of the Interstate 405, Los Angeles Mayor Antonio Villaraigosa attempted to brush aside a 'car apocalypse', saying the chaos will do good in future. We can either say we survived Carmageddon, or we can say we survived the Carmageddon hype ... It doesn't have to be the end of the world. This is a unique opportunity for Angelenos to shop locally and to discover the world of public transportation, said Villaraigosa. 'Carmageddon' is a neologism created by radio stations and television channels parodying the concept of 'Armageddon.' It refers to the mammoth traffic congestion that could result from a 53-hour closure of the Interstate 405 over the weekend. It is feared that a sheer never-before-seen traffic chaos will result when a 10-mile section of the 405, between the 10 Freeway and the 101 Freeway, is closed at 10, Friday night. Another neologism created to refer to the nightmarish traffic pile up is 'carpocalypse', parodying the concept of Apocalypse. Why does the closure of a highway create panic of epic proportions? The reason is simple: Interstate 405 is the busiest and most congested freeway in the United States, and its closure can choke traffic several miles on either side. Interstate 405 has also been one of the most over-burdened freeways in the country with an estimated annual average daily traffic 374,000 in 2008. This number relates to the traffic between exits 21 and 22 in Seal Beach. The weekend closure is part of California's plans to breathe life to the choking freeway. During 53 hours of closure, the north side of the Mulholland Bridge will be demolished as part of the $1 billion Sepulveda Pass Improvements Project. 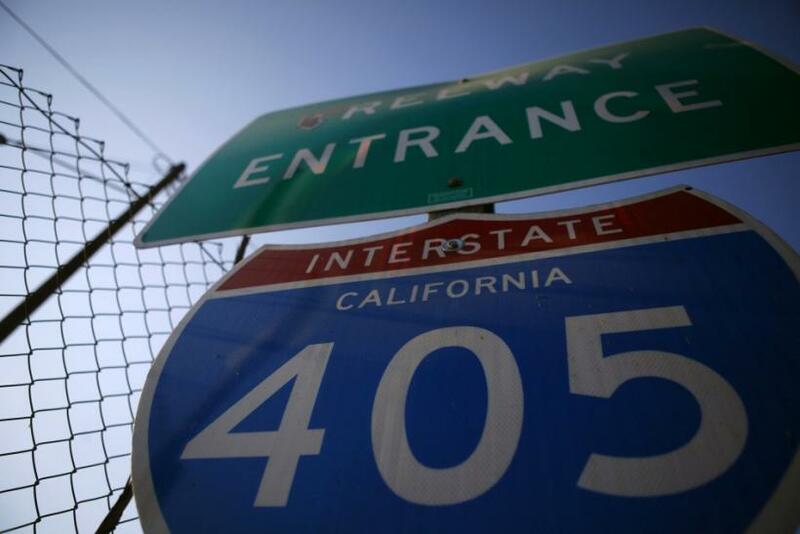 Interstate 405 is also known as the San Diego Freeway, and its history is interesting. It is believed that early Spanish explorers had blazed a trail along this route. The credit of cutting a new path through the mountains of California has been given to Spanish explorer Gaspar de Portola, who is believed to have travelled on horseback on this path in 1769. Before the current Interstate 405 came into existence, a four-lane highway, known as the 'Sepulveda Boulevard', had been constructed in 1930s. A $20 million improvement project was kicked off in 1960 which involved connecting western Los Angeles to the San Fernando Valley. On December 21, 1962, a spanking new eight-lane freeway was opened. What was then known as the a wondrous freeway was deemed capable of carrying the ever bulging traffic load, but over the years the highway started getting clogged. The weekend closure of the freeway, which epitomized life in the fast lane, will force people to stay back and cool their heels. And perhaps reminisce and retell stories and anecdotes about the 405! One particularly riveting story about 405 is the epic chase of O.J. Simpson, former football star accused of killing ex girl friend and another man found at her place. On June 17, 1994, police tracked down OJ Simpson travelling in a white Ford Bronco on the freeway and gave hot chase. The widely televised low-speed pursuit ended hours later when Simpson exited at the Sunset Boulevard and came to his Brentwood estate.